The global flexible packaging market size was valued at USD 236.2 billion in 2017 and is anticipated to grow at a CAGR of 4.3% during the forecast period. Flexible packaging is use of non-rigid packaging structures for packaging and protection of products. According to the Flexible Packaging Association, flexible packaging is any package or any part of a package whose shape can be readily changed. Some examples of flexible packaging include bags and pouches. Flexible packaging is extremely customizable, and can be tailored according to the requirements. The food and beverage sector uses FDA approved food grade materials for flexible packaging. This packaging is contaminant free, safe, with capability to offer additional features such as ultraviolet protection. Flexible packaging offers consumer convenience, can be easily transported and stored, enhances shelf appeal, and generates fewer emissions. The Flexible Packaging market is influenced by improved economic conditions, demographic and socio-economic changes, and environmental concerns. Factors such as growing urbanization, increasing need for convenience and improved shelf life supports the Flexible Packaging market growth. The growth in demand for consumer-friendly packaging and downsizing of packaging has encouraged packaging producers to develop more sustainable solutions, thereby improving the Flexible Packaging market growth rate. The increasing focus on sustainable packaging solutions and growing need for eco-friendly packaging has increased the growth of the Flexible Packaging market. The increasing demand for packaged foods, growth in pharmaceutical industry, substitution of traditional packaging, and growing demand from the emerging economies are factors expected to offer numerous growth opportunities for the flexible packaging industry during the forecast period. The global Flexible Packaging market is segmented on the basis of type, material, end-user, and region. The Flexible Packaging market report segments the type into bags, pouches, wraps, and others. In January 2017, Mondi collaborated with Royal Vaassen Flexible Packaging to supply effective packaging solutions. Royal Vaassen Flexible Packaging is a global provider of packaging solution for food and drink. Royal Vaassen Flexible Packaging uses Mondi’s Speciality Kraft Paper’s Advantage MG Coating to provide efficient and sustainable packaging solutions within the food industry with solutions for spiral-tube packaging like pack and display chips. The Flexible Packaging market report segments the material segment is categorized into paper, plastic, flexible foam, aluminum, bioplastics, and others. 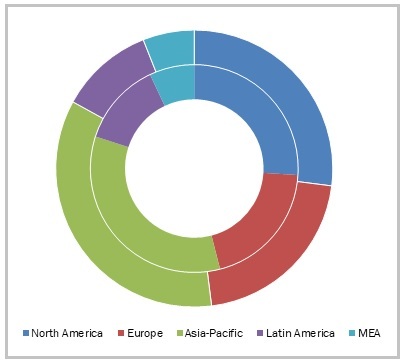 The plastic segment dominated the global Flexible Packaging market in 2018 owing to increasing applications in industrial purposes, frozen food packaging, beverage cartons and carriers, and pharmaceutical packaging. The Packaging market report segments the end-user segment is divided into food and beverage, healthcare, retail, consumer goods, and others. The food and beverage segment accounted for the highest Flexible Packaging market share in 2017. Flexible packaging plays a critical role in food and beverage industry for containing, protecting, and preserving food products. Flexible packaging provides a simple and economical method for packaging of food products, while also providing product information, and influencing the sale, consumption, use and disposal of products. 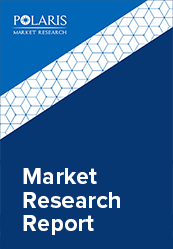 This report comprises a detailed geographic analysis of the Flexible Packaging market across North America, Europe, Asia-Pacific, Latin America, and MEA. North America is further segmented into U.S., Canada, and Mexico. Europe is divided into Germany, UK, Italy, France, and Rest of Europe. Asia-Pacific is bifurcated into China, India, Japan, and Rest of Asia-Pacific. Asia-Pacific is the major region contributing to the Flexible Packaging market growth due to increasing environmental concerns, and growth in the food and beverage and retail sectors. The leading players in the Flexible Packaging market include Amcor Limited, Mondi Group, Berry Plastics Corporation, Sonoco Products Company, American Packaging Corporation, Novolex Holding Inc., Bemis Company, Inc, Constantia Flexibles International GmbH, Ampac Holding, and Sigma Plastics Group among others. These leading players are introducing innovative products in the Flexible Packaging industry to cater to the growing demand for consumers. Global players are entering new markets in developing regions to expand their customer base, strengthen market presence, and increase their Flexible Packaging market share.